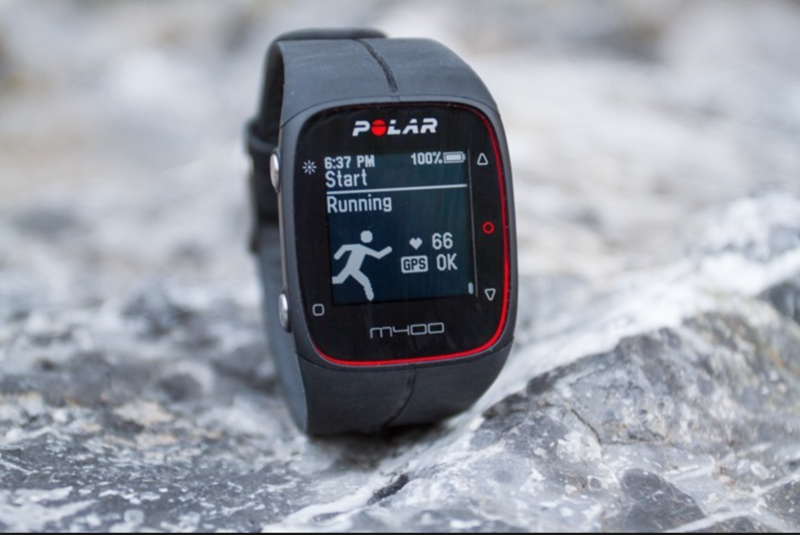 Today I decided to do a review on the Polar M400 Smart Fitness Watch. Why? Because that’s the one I use. Now, what’s so special about this watch anyway, considering the enormous amount of fitness trackers and watches in the present market? Well, it all depends on what you’re looking for, your budget, and what kind of activities you do. Before I decided to get my hands on a fitness watch or a fitness tracker, I had been using the Polar H7 Heart Rate Monitor for a while. Although in the past I had used some fitness trackers that didn’t really satisfied my needs and weren’t too accurate, I decided to go for this heart rate monitor (the H7) since some fitness professionals had given it good reviews, and since I carried my phone with me everywhere and this monitor connects to your mobile devices via bluetooth, I didn’t hesitate much before I order (besides, the price isn’t bad at all, starting around $49 USD). All was fine until I started to realize carrying my phone with me to every physical activities I like to do (Spartan races, mountain biking, gym, running, etc) can be a little bit of a pain, since sometimes I don’t have pockets or I might need a waterproof case (or ziploc bag) to avoid my phone getting ruined. That’s when I decided to get a fitness tracker. After reading online which were the top rated fitness trackers and picking the top few options that would work for me, I went to Amazon and started reading the reviews and questions left by users. I came to realize that most trackers, even those with the HRM sensors on the back like the Fitbit, aren’t too accurate when it comes to reading your heart rate. Add to this the fact that watches like Apple Watch have trouble reading the heart rate through tattoo’s ink (I have a full sleeve), would make it even worse for me, so spending a lot of money on a fancy tracker that won’t do the job as it should was out of the question. So, that’s where the Polar M400 became the winner. The M400 doesn’t have a heart rate monitor sensor, instead it works with the H7 sensor. So yes, unless you already have the sensor, you won’t be able to get your heart rate recorded, hence your calories burned will be ridiculously inaccurate. The fact you can get the watch with the heart rate sensor from Amazon for only $132.69 USD that alone makes it a good investment. 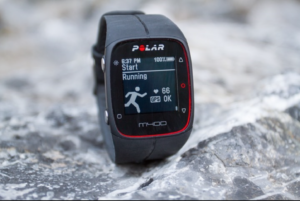 The watch has integrated GPS, and with Polar’s Flow app (free) you can create and customize fitness profiles based on what activities you do, and what information to be displayed in the watch while you perform such fitness activities. The watch’s battery last about a week or so using it everyday to track 1+ hour of exercising a day and about twice GPS activities tracking. GPS of course uses more battery, so if your workouts don’t use GPS the battery will definitely last longer than a week. If you don’t workout everyday, that will also extend the battery for even longer. The fact I use my watch to display my cell’s notifications, which means it is connected via bluetooth 24/7 and still last a week+ on one charge, that is very good for me. The smart notifications only works by displaying whatever notifications you get in your cell (texts, emails, app notifications, reminders, etc) in a very limited way. You can only read the first line maybe, plus who the text or email is from. You cannot reply to any messages though. It will also show you who’s calling you and give you the option to silence the phone or answer but you still need to use the phone to talk). Other than that, the watch is water resistant and it seems it is made of good material since it hasn’t shown any scratches yet with all the abuse I’ve given it. The one issue I find with this watch is the GPS, but then again it is something to expect. The GPS only works accurately when you use it mostly in places where there aren’t trees above you (it doesn’t work indoors), and if you don’t do sharp u-turns like in some mountain bike trails. This is an issue that also happens with phones as well, and it all has to do with the GPS sensor not registering too good when you do a narrow u-turn, skipping a few feet/meters at a time, which when done repeatedly it can add up to a mile+. With my phone trees aren’t a big issue, but with the watch it is. Eliminating those two issues, when calculating distance, the watch, the phone and the mechanical bicycle computer mark the exact distance. In any case, I love this watch and it has worked for me as I expected. The activities I use it for are for running, road biking, mountain biking, strength training and I will be using it for swimming as well. It also helps track sleeping time if you don’t mind wearing it while sleeping. For a list of all the features, click here.